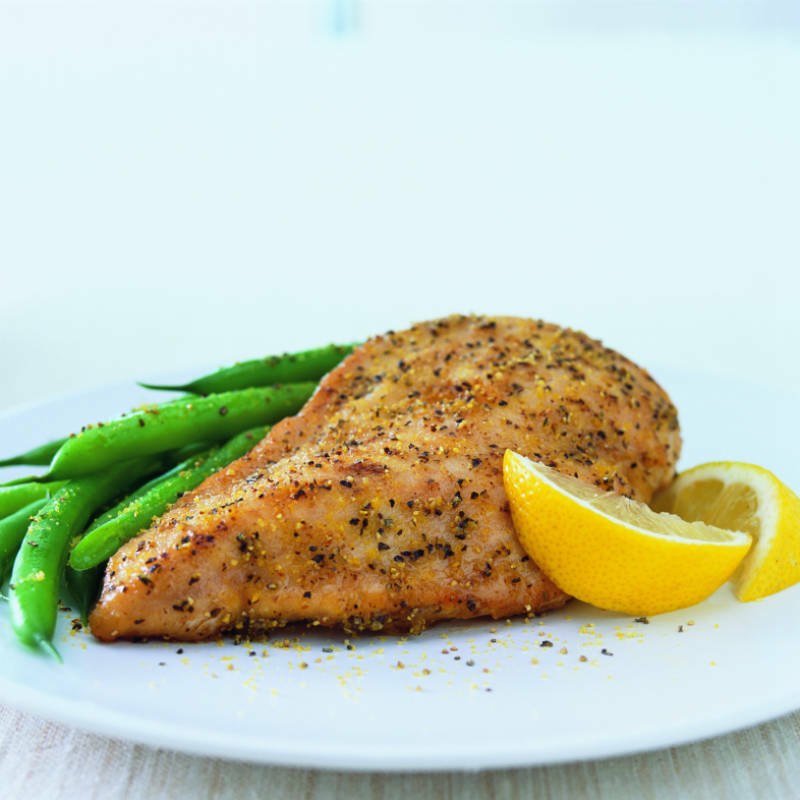 Two of the most popular flavors, black pepper and lemon, are perfectly blended together in this versatile seasoning. Use Lemon & Pepper Seasoning on meat, chicken, fish and seafood salad. Dovetailing tip: Grill an additional 2 chicken breasts. When cooled, chop them and save for Meal 4. Add it to the Easy Coconut Curry. Mix flour and seasoning in shallow dish. Moisten chicken lightly with water. Coat evenly with seasoned flour. Melt butter in large nonstick skillet on medium heat. Cook 1/2 of the chicken pieces 3 to 4 minutes per side or until golden brown and cooked through. Repeat with remaining chicken, adding additional butter if necessary.